At MaJIC, we are able to offer both civil and architectural services in-house. Whether you’re designing your first home or renovating a current building, from beginning to end, MaJIC can help. Services also include help with zoning and by-law compliances, construction supervision and inspection of the final project. * Barns, Sheds, Garages etc. 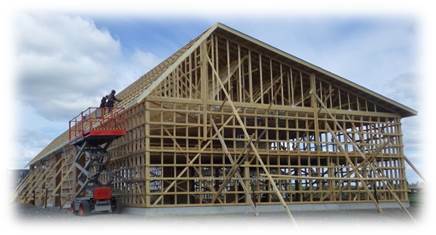 Civil Engineering projects have ranged from small support beam designs meant to facilitate the removal of loadbearing walls during home renovations to the design of entire houses and barns according to client specifications.Our broad range of civil and architectural services allows us to offer companies, contractors, and individuals the support they need to complete their construction projects both on time, and on budget.